Following from Printing Colour 1400–1700, Printing Colour 1700–1830 will be the first interdisciplinary assessment of Western colour printmaking in the long eighteenth century. It will bring together researchers, curators, special collections librarians, printers, printmakers, cataloguers, conservators, art historians, book historians, digital humanities practitioners, scientists, and others who care for colour-printed material, seek to understand them, or use them in research. The discussion will encompass all media, techniques, and functions, from fashion to fine art, wallpaper to scientific communication. The programme includes two days of papers, posters, and object sessions, and private views of nine collections. Eighteenth-century book and print cultures are considered to be black and white (with a little red). Colour-printed material, like William Blake’s visionary books and French decorative art, is considered rare and exceptional. However, recent discoveries in archives, libraries and museums are revealing that bright inks were not extraordinary. Artistic and commercial possibilities were transformed between rapid technical advances around 1700 (when Johannes Teyler and Jacob Christoff Le Blon invented new colour printing techniques) and 1830 (when the Industrial Revolution mechanised printing and chromolithography was patented). Printing Colour 1700–1830 will explore how these innovations added commercial value and didactic meaning to material including advertising, books, brocade paper, cartography, decorative art, fashion, fine art, illustrations, medicine, trade cards, scientific imagery, texts, textiles and wallpaper. The saturation of some markets with colour may have contributed to the conclusion that only black-and-white was suitable for fine books and artistic prints. As a result, this printed colour has been traditionally recorded only for well-known ‘rarities’. The rest remains largely invisible to scholarship. Thus, producers may be known as elite ‘artists’ in one field but prolific ‘mere illustrators’ in another, and antecedents of celebrated ‘experiments’ and ‘inventions’ are rarely acknowledged. When these artworks, books, domestic objects and ephemera are considered together, with the materials and techniques that enabled their production, the implications overturn assumptions from the historical humanities to conservation science. 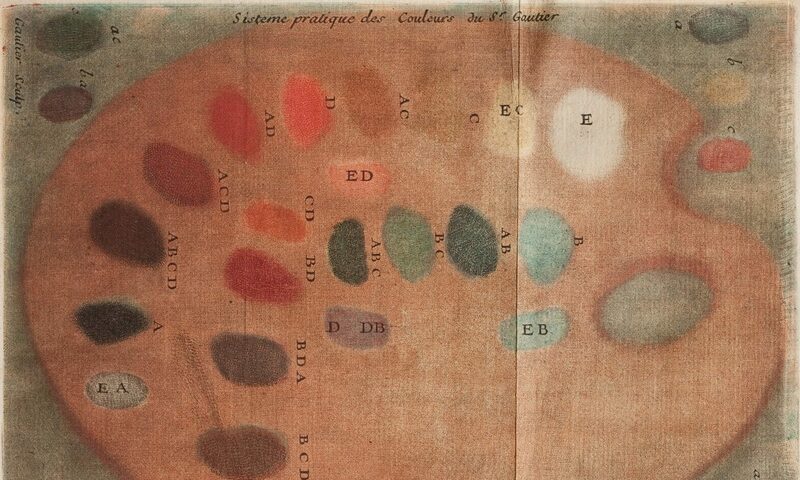 Printing Colour 1700–1830 will offer a new, interdisciplinary approach that is now required. Printing Colour 1700–1830 is funded by a major conference grant from the Fritz Thyssen Stiftung.